MOMMY'S SWEET CONFESSIONS: Sunday's Sweet Confessions Link Party #14 and Co-Host The Mandatory Mooch! Sunday's Sweet Confessions Link Party #14 and Co-Host The Mandatory Mooch! Welcome everyone to this weeks link party! This week I have the featured links in their very own post that you can check out too very soon (next day or two). Make to to check out the fabulous posts! 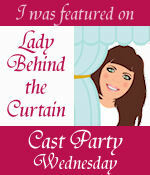 This week I am thrilled to pieces to have a fantastic co-host joining me for my link party this week. This week's fabulous co-host its Nichi from The Mandatory Mooch! She has a gorgeous blog, and phenomenal recipes that never cease to make me drool all over my keyboard daily. 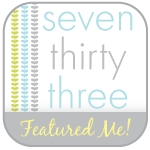 Hers was one of the first blogs I started following when I started my blog, and she has been a wonderful source of direction and inspiration! 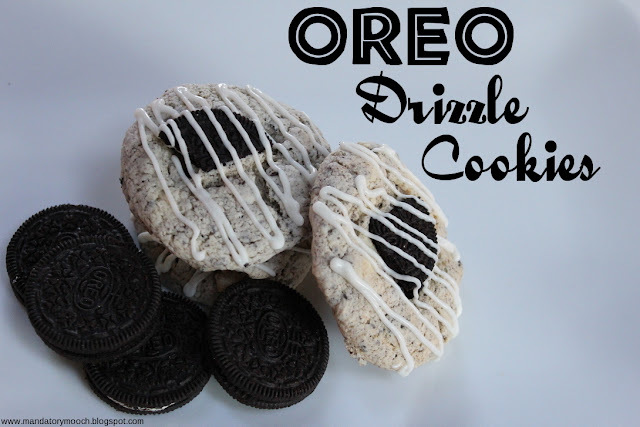 Without further blah blah blah from me, here is NIchi with her recipe that will make you sprint to the cupboard, grab that secret stash of oreos I know you have, and make these delightful little morsels! Hello everyone! 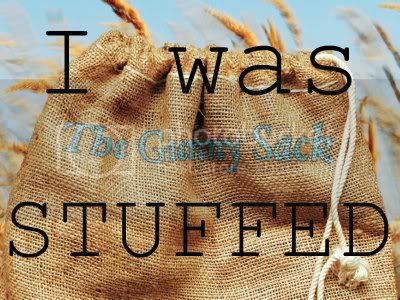 My name is Nichi (sounds like Niki) and I blog over at The Mandatory Mooch. I'm honored to be a co-host here today....thanks, Lindsay!! Growing up I was always mooching food off of my dad. Hence my nickname "Mooch". To me there are certain foods out there that you just have to have...therefore, making them a "mandatory mooch" if someone has it. I am a born and raised Kansas girl who loves family and food. As a wife and working mother of two wonderful little girls, life can get crazy. Many of the recipes that I tend to use are quick and easy...no crazy ingredients that you have to search for. Just simple good food that can make my family happy. Today I'm sharing my latest creation Oreo Drizzle Cookies. I hope you enjoy. Please stop on over any time and say hi!! I also host a weekly linky party Tasty Thursdays. Hope to see you there. 1. Mix together cake mix, eggs, oil and water until well combined. Stir in crushed Oreos. 2. Drop by spoonfuls onto cookie sheet. Top with 1/4 piece of Oreo. 3. Bake at 350 degrees for 10-12 minutes. Let cool completely. 4. Drizzle with almond bark or white chocolate. I used a cake decorating bag to pipe over the cookies. Thank you so much for bringing us that amazing recipe and post Nichi! 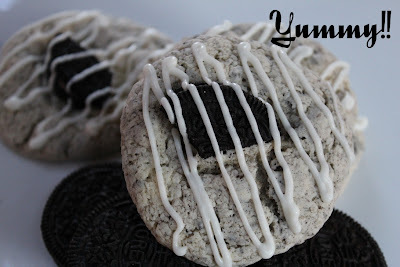 There will be a run on white cake mixes and oreos at the store because of you :) Now, on to the party! Thank you so much for hosting! This link party is always super fun! 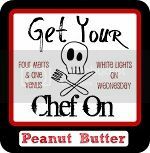 Lot's of great recipes get uploaded here. Thanks for the party. 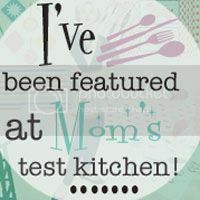 Please come over to Pint Sized Baker and share a few things. Have a great week! Thanks for the party and for the great recipe from Nichi - she has wonderful things in her blogs!!! Thanks for hosting! Love The Mandatory Mooch! Yummy cookies too! Have a great week! Sunday's Sweet Confessions Link Party #15!